Dr. Nick Jackson is done with medicine, and owning a B&B is as far from doctoring as he can get. can they heal the past and embrace the future . . . together. “The same.” He stood and walked around the reception desk. She glanced from side to side, obviously trying to see if Olivia had destroyed the house. She had more than made her opinion clear about her lack of faith in the new girl, and unfortunately Zoe had been at least partially correct. Olivia did not know her way around a kitchen. A smug smile rested on her face, and a gleam lit her eyes. “Some work emergency.” He stepped past her and ambled into the kitchen. He ran around to the other side of the bed and snatched up the other pillow. “I’m armed and dangerous.” He chuckled, unable to hide his pleasure in their game.Zoe looked ready to pounce. She darted around the bed and swung the pillow, hitting his shoulder. “Is that the best you can do?” He wiggled his fingers, egging her on. “Nope.” She belted his head, laughing. He whipped a pillow to the side and swung, hitting her across the back as she bolted to the foot of the bed. “You can dish it out, but you can’t take it, huh?” He knew the woman was feisty, but she had a competitive streak too. “Bring it on.” Zoe flashed white teeth. He caught his breath and stopped mid-swing, struck by how beautiful she was when she smiled. Her entire face glowed. Granted the pillow fight had turned her cheeks pink, but it was more than that. She was gorgeous. He stepped closer and tucked a loose hair behind her ear, stopping himself barely in time from cradling her cheek in the palm of his hand. Zoe’s questioning eyes searched his, her strawberry red lips parted. He couldn’t take his eyes from her mouth. It begged to be kissed. He titled his head and inched toward her. He sobered and straightened. He ran his hand over his face. What was he thinking? Island Refuge is free to borrow for Kindle Unlimited members. 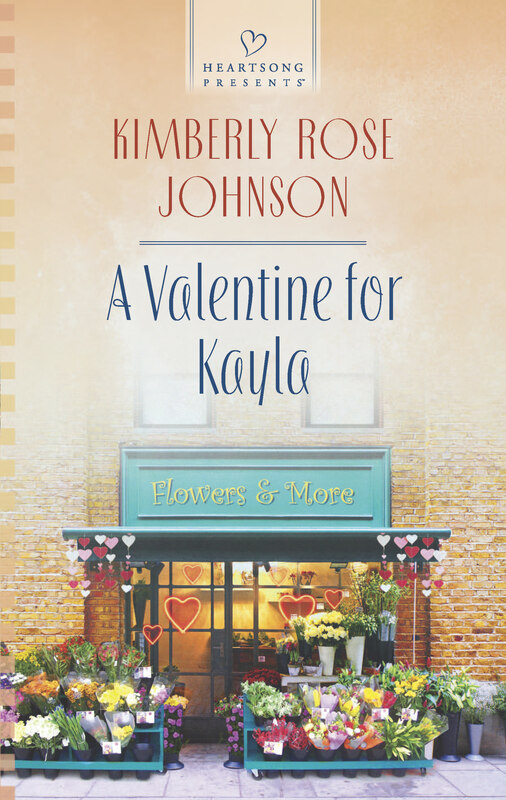 To be entered in the giveaway for a copy of A Valentine for Kayla (Heartsong Presents) please leave a comment at the bottom of this page. Note: When you enter your e-mail address, WordPress handles it privately. It will not be visible or exposed to anyone visiting the blog. The giveaway ends June 17. What should be Kayla’s favorite holiday is just another reminder that she hasn’t met someone special. The beautiful florist—and hopeless romantic—has nearly given up on love, when the man of her dreams walks into her shop…to buy flowers for another woman! Go to bottom of page and leave a reply by June 17 to enter the giveaway. You’re welcome, Kimberly! I’m spreading the word on FB, Google+, and LinkedIn. I love your stories, Kimberly! I have the Island Refuge book, but not the Valentine book. God bless! Hi Donna, I’m thrilled that you love my books. :) A Valentine for Kayla is a fun story. A little on the light side compared to Island Refuge. Looks like empty nesting won’t feel empty to you, as long as you have a story to write! Thanks for sharing. My 89-year-old mother-in-law enjoys most lighthearted romances, so I think yours will be no exception. Enjoy the beautiful Northwest! Thanks, Gail. I imagine you are correct, I won’t have any trouble filling in my time. You mentioned your mother-in-law, now I’m curious what kind of books you enjoy reading?